The National Security Archive is thrilled to announce the launch of our interactive CyberWar Map. The Map is both a visualization of state-sponsored cyberattacks and an index of documents in the Archive’s Cyber Vault relevant to the subject selected. Clicking on each node will reveal documents and analysis and the entire map will be particularly useful to researchers and those trying to identify a “bird’s eye view” of the cyber-battlefield. 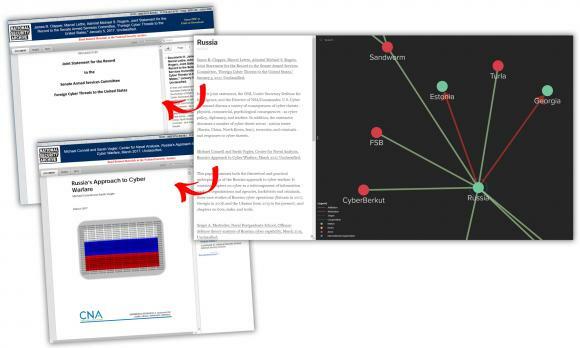 The CyberWar Map is a living research aid: documents and nodes will be added on a regular basis. FOIA requests help fuel a recent New York Times investigation into how the Bureau of Alcohol, Tobacco, Firearms and Explosives rarely punishes gun sellers for a variety of violations. ATF inspection reports, obtained by the Brady Center to Prevent Gun Violence, help show that senior ATF officials “regularly overrule their own inspectors, allowing gun dealers who fail inspections to keep their licenses even after they were previously warned to follow the rules.” Violations cited – and ignored – include illegal weapons sales, failing to conduct background checks before selling a gun, and selling guns to felons. The Times notes that while half of the 11,000 gun retailers that were inspected by ATF were cited for violations, less than 1 percent lost a license. The Department of Energy is trying to avoid responding to a FOIA request by claiming that only the individual who filled out the DOE’s online FOIA form – in this case Cheryl Brantley – could file a FOIA lawsuit over the DOE’s failure to respond to the request. The DOE argued that the organization Brantley indicated she worked for on the DOE FOIA form, A Better Way for BPA, did not have grounds to sue. The DOE took this position even though Brantley made clear in her initial request that she was requesting the information for her organization. Federal District Court Judge Beryl A. Howell has ordered the Environmental Protection Agency (EPA) to produce documents on administrator Scott Pruitt’s claim that carbon dioxide was “not known to be a major factor in climate change.” Pruitt claimed on CNBC last March that he didn’t agree that carbon dioxide was a major contributor to global warming and “there’s a tremendous disagreement about the degree of the impact” of “human activity on the climate.” Public Employees for Environmental Responsibility (PEER) filed a FOIA request for any documents that might back up Pruitt’s claim, which contradicted evidence already shared by the EPA. Another FOIA request revealed that Pruitt’s spent nearly $1,600 on a set of customized fountain pens from a D.C.-area jewelry store. 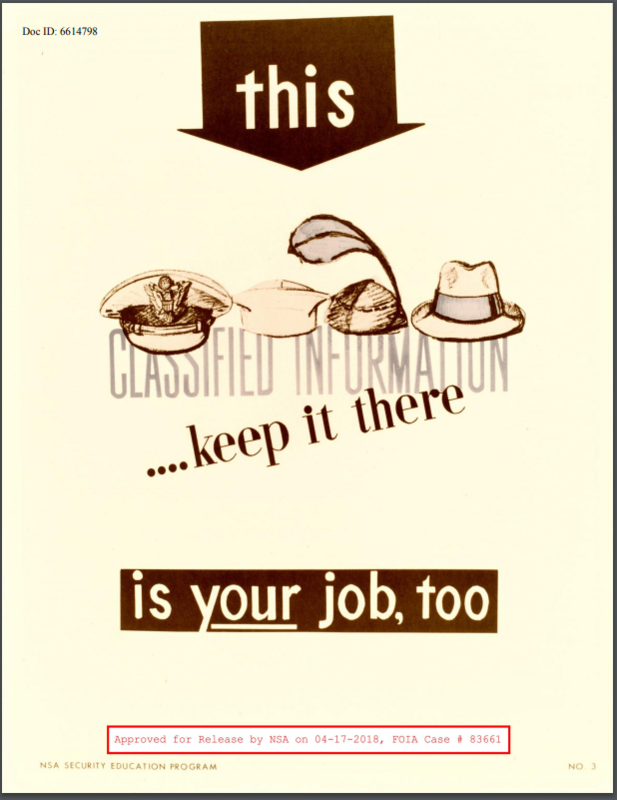 The National Security Agency recently released more than a hundred motivational “security” posters from the 1950s through the 1970s in response to a FOIA request from Government Attic. The posters are a unique glimpse into the agency’s Cold War culture, with many posters from the 1950s containing overt Christian themes, to later ones from the 1970s picking up more pop culture references – including a spin on Saturday Night Fever. The NSA isn’t the only agency to use posters to reinforce its culture of secrecy. MuckRock has a collection of CIA secrecy posters from the 1970s here. Former defense secretary Frank Carlucci has died at the age of 87. Carlucci also served as national security adviser and CIA deputy director, and was classmates with both Donald Rumsfeld and Caspar Weinberger. 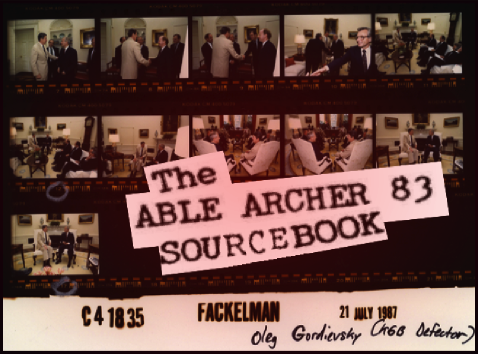 The National Security Archive’s primary source highlights from the career of one of Washington’s pre-eminent insiders – from Chile to Japan to the Reagan-Gorbachev nuclear summits – can be found here. Carlucci’s oral-history interview with the Association for Diplomatic Studies and Training Foreign Affairs Oral History Project is also a terrific resource that can be reached here. ← Why Does Sen. Rubio Want to Stop U.S. Funding for Crime-Fighting Commission in Guatemala?